You know women and their quest to remain young, doing all in their power (and with their hard earned money, of course) to reverse the aging process. Of course, everyone grows old eventually, but that doesn’t mean you don’t have to do it in an ungraceful manner. One of the main causes of rapid skin aging is exposure to the sun, and wearing a hat is always a good idea if you spend plenty of time outside (especially if you’re in Australia at this point in time). 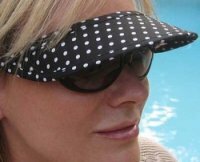 Vizini, creatos of sun visors for women, have come up with their latest invention – a strapless visor which not only offers you protection from the sun’s harsh rays, it also renders obsolete “hat hair,” headaches, sweating and forehead lines that result from headband and clamp-style sun visors. Here’s a great way to kick off the morning. There is no better way to greet the day than to start it with a bit of violence. No one really likes their alarm clock, for a great deal of reasons really. First of all it is dragging you out of bed and to top it off, most alarm clocks are just plain annoying. I know it’s had to occur to you on at least one occasion to pick up the clock and chuck it at the nearest wall or at the very least to pound it into tiny pieces. 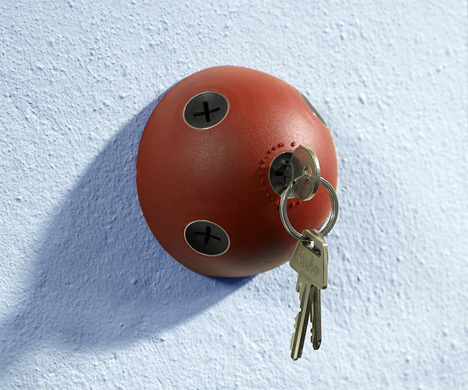 Instead of going the usual dull route of having hooks to toss your keys on, you could actually go the interesting route with this design. It could take care of your keys without taking up too much wall space. Although I wouldn’t entirely trust this if you have a love for a overabundance of keychains. It might cause your key holder to fall out of the wall if your keys weigh too much. If you do have normal keys though, it’d be a great way to make sure you don’t lose your keys quite as often. Oral-B Triumph: Most Advanced Toothbrush Ever? The toothbrush is one of those inventions that don’t need any improvement. Yes, you can put a motor on it to make it work faster, and Reach has spent a lot on R&D and marketing to show that their toothbrushes are more advanced. In all honesty, the Oral-B Triumph has got to be the most advanced toothbrush that I’ve seen, and I don’t see how you could improve toothbrushes after this. After all, how many toothbrushes come with a handheld display that is wirelessly synced to the toothbrush itself? This is what the Smart Guide display is designed to do, and the user holds it in his or her hand while he or she brushes. The Smart Guide times the brushing, and it is recommended that you brush with the Triumph for about two minutes. You can adjust the speed settings for cleaning, massaging, polishing, and sensitive care. There is an indicator on the Smart Guide that lets you know the setting, and a warning light in case you are brushing too hard. 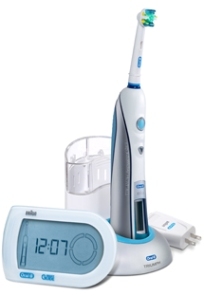 Read moreOral-B Triumph: Most Advanced Toothbrush Ever? See this man in this blurry photo? He is defying gravity with a jetpack, but not the type that we normally think of when we think of the word jetpack. The fact is that most of the jetpacks that we see can only sustain a few minutes worth of flight time and are very dangerous. 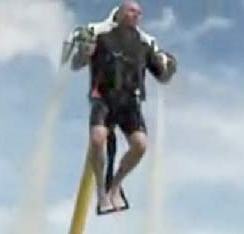 Someone has invented a water jetpack that is safe, fun, and the flights last a lot longer. You can see it in action on the YouTube video after the jump. Of course, there are some limits to the height of the Water Jetpack. As you can see, the man is tethered to a pump that is the source of the gravity-defying water pressure. There also seems to be some sort of boat thing behind him, and I’m not certain if he is controlling it, or if its just being dragged. Read moreWater Jetpack latest in Aqua fun? 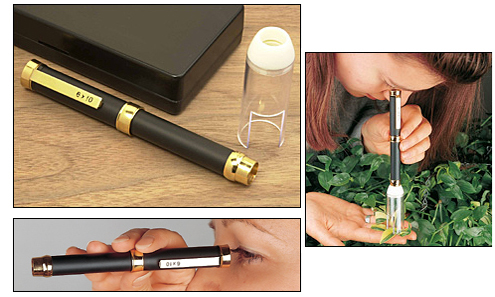 If you’re a major science geek and have finally come to the point when you want to get out of the lab, you might want this Pocket Telescope/Microscope. Then when you’re out roaming the world, if you happen to come across anything tiny and interesting, you’ll always have your microscope handy. It will also be great for when you’re star gazing, but don’t want to have to drag out the full telescope. Sometimes it’s better to keep things minimal. I guess if you really wanted 3D content on your cellular phone, you could probably load a digital copy of some movie that was originally done in 3D, like Spy Kids 3D or Shark Boy and Lava Girl. 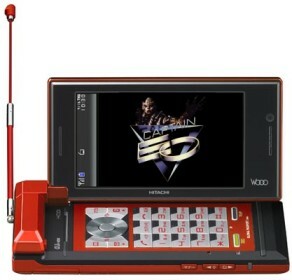 You could also get the Ketai H001, which has a 3.1-inch 3D screen. Now I’m sure you’re wondering if there is 3D content that is ready to go, and the answer to that is probably “no”. I doubt you can get Captain EO, and even if you could, would you want to? I’m guessing you are going to need some glasses to view this, and you’re not going to look very cool in public. Perhaps Japan has a different idea of what is cool, because this is probably the only place you can buy one of these. If you’ve ever had a wish to become a super secret spy, then you’ll need this lighter to help you capture all of those super secret spy moments. Yes, I’m sure there are so many moments that come to mind, that you wish you’d have had a lighter with a hidden video camera and microphone. Be it when your boss or spouse says to do something, then later claims they never said that or just when you know that the person’s words are going to come back and bite them in the rear. You will be the one to capture it all and they’ll never know how. For those of you who haven’t heard of Aerielle, they put out some very high quality MP3 Accessories like the i2i Stream. 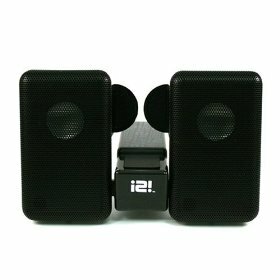 I was highly impressed with one of their newest products, the i2i Folding Portable Speakers. As you can see from the picture, the Speakers have a little station in the middle where the user can place his or her MP3 Player. The speakers can be pulled out a little more, and an iPod classic is perfectly sized to fit in there. 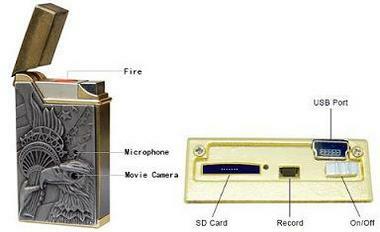 It’s too bad Aerielle didn’t make this thing an iPod dock, but perhaps that is for a future time. No, you can’t power your iPod on this guy, because it requires 4 AAA batteries to power itself up. An on and off switch is located in back for conserving power, as it only has five hours of it with the batteries.